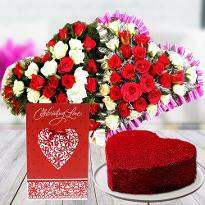 Valentine’s day is commemorated every year on 14th February with immense pleasure and joy. 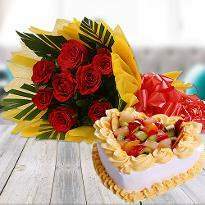 Couples express their love and care for each other by presenting gifts. So, this Valentine’s day, whether you are in love or want to propose someone, convey your emotions in a unique style. 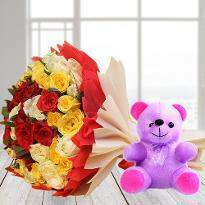 To make it more special, online Valentine gifts can be the best companion for you. 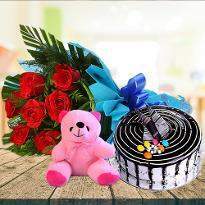 If you are looking for online Valentine gifts in Trivandrum, then you are at right place. 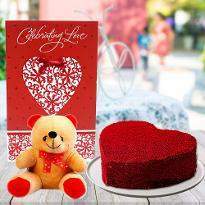 Winni provides online Valentine gifts delivery in Trivandrum so that you can easily buy gifts for your girlfriend/boyfriend/crush/husband/wife. 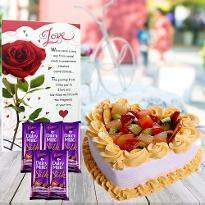 The love season is here and one can feel it’s essence in the atmosphere. 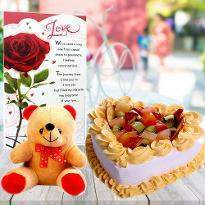 Love is feeling which is hard to describe in words. It connect two hearts together for the lifetime. 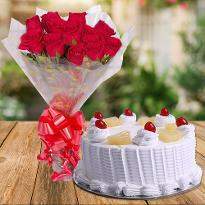 Love exists in every relationship perhaps the love between couple has a numerous flavors that make it worthy of some special celebration. 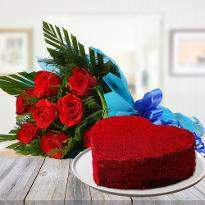 That’s why Valentine’s day is commemorated all over the world. 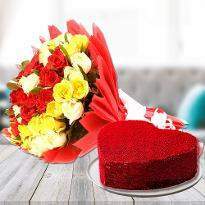 Valentine’s day is a day to showcase love, care and respect. No matter whether you are single, married or recently committed, Winni will help you to celebrate the day and rejuvenate the magic all the time spent together. 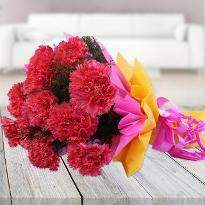 14th February is a day when couple express their love, while singles get the chance to say the unspoken. 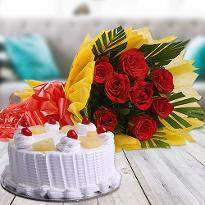 As we all know that no occasion is complete without exchanging gifts, the same goes for the occasion of love. 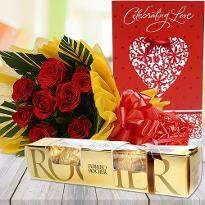 No matter how much you showcase your love with words or actions, a thoughtful Valentine gift can say a lot more. So, let the love bloom all around as it’s the love season. 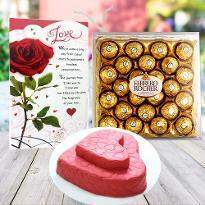 Make the day a special one by showing your immortal and irrevocable love with thoughtful Valentine gifts in Trivandrum. 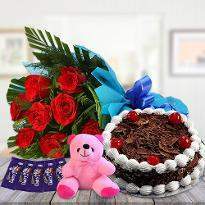 Winni understands your emotions and that’s why we have come up with a huge range of Valentine’s day gift for home delivery in Trivandrum. 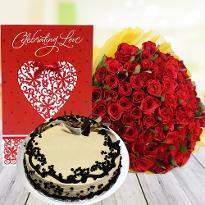 Therefore, you can order Valentine’s day gifts in Trivandrum to commemorate the festival of love. 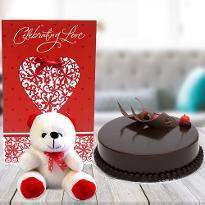 Yes, with the availability of online shopping portal, you can now send Valentine gifts to Trivandrum that will melt your special one’s heart and infuse joy to your relationship. 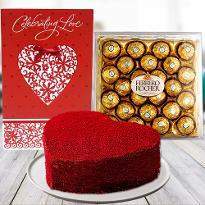 Winni provides a huge range of online romantic Valentine’s day gifts in Trivandrum. 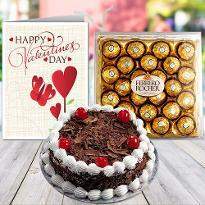 Therefore, you can pick the right Valentine gift from here and get them delivered to your desired place and time. 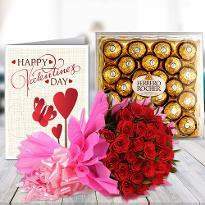 Valentine's day is the right day when young and old couples gear up to express their immortal love for each other and nothing can beat the power of heartfelt Valentine gifts. 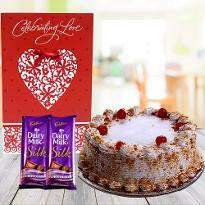 The most difficult task is to choose the ideal valentine gifts which are as special as your relationship. 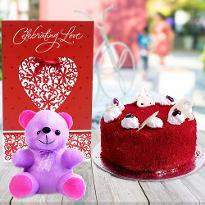 However, with Winni, you can easily shop for the right valentine gift for your partner. 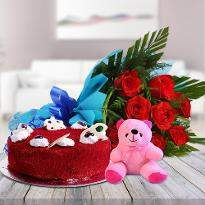 Teddy bear, chocolates, fresh flowers, delicious heart-shape cakes, gold-plated rose, crystal gifts, personalized mug, scented candles and many more are available at our online store. 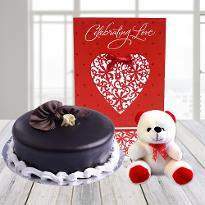 Therefore, you can choose from an array of Valentine gifts and place your order online for Valentine gifts. 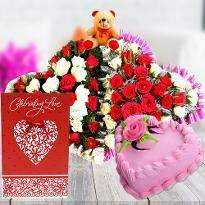 Order and send it using our flawless Valentine gift delivery service. 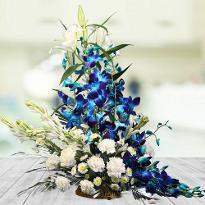 Winni provide same day delivery, midnight delivery, early morning delivery, earliest 4-hour delivery, fixed time delivery as well as standard delivery. So, go ahead and buy a perfect Valentine gift for your partner.